By visiting this site, some people are probably waiting for a step-by-step, point-by-point explanation of how to share the gospel from beginning to end. For those of you who are expecting that, I’m sorry to disappoint you. 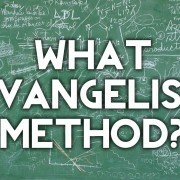 This article is not designed primarily to focus on methods for evangelism. I am not against methodology at all. 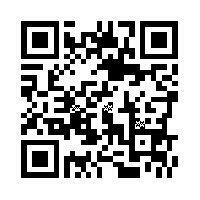 I have found that different methods for evangelism have been very helpful tools in my belt. I, however, want to focus mainly on the issue of the heart, rather than the issue of “what is the correct method”. 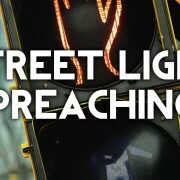 If you listen to enough messages on evangelism you are likely to come across one on Acts 17. In Acts 17:16-33 you will find the Apostle Paul’s famous message on Mars Hill. This is where Paul preaches the gospel to a bunch of religious pluralists who have never heard the gospel. His method was brilliant. He started with an observation about the people that they may have thought was a compliment when he said, “Men of Athens! I see that in every way you are very religious”. The story continues as Paul captivates the attention and peaks the interest of these people who have never heard about Jesus. The result of Paul’s preaching ended up with a people group who previously never heard about Jesus now having a remnant of believers who would take that same message and spread it to others. As I said, there are many great messages on methods for evangelism based on this passage. However, I believe that before we look at the method Paul used, we need to look at the heart that Paul had. What really stuck out to me in this passage was not only the content of Paul’s preaching; it was the series of events that led to Paul gaining an audience with these people. The place where Paul was preaching was called the Aereopagus (or Mars Hill). It was a place where people would come and share the latest ideas. Now Paul had a platform with a captive audience of people waiting to hear his ideas. How did Paul end up there? How did he get that opportunity? In order to find out how Paul gained this opportunity, we have to go back a few verses to Acts 17:13-17, when Paul was preaching in a completely different setting. “When the Jews in Thessalonica learned that Paul was preaching the word of God at Berea, they went there too, agitating the crowds and stirring them up. The brothers immediately sent Paul to the coast, but Silas and Timothy stayed at Berea. The men who escorted Paul brought him to Athens and then left with instructions for Silas and Timothy to join him as soon as possible. The first thing we notice is that Paul’s evangelistic crusade to the Athenians was not planned. Paul was in Berea, and was driven out for preaching the gospel. In a frenzied decision to avoid Paul falling into the hands of the angry mob, the brothers shipped him off on the first boat out of there, forcing him to leave his companions behind. Paul – alone and undoubtedly frantic – found himself in Athens waiting to reunite with his ministry team. While he was waiting, Paul realized his next mission field… this is what lead to the message on Mars Hill. 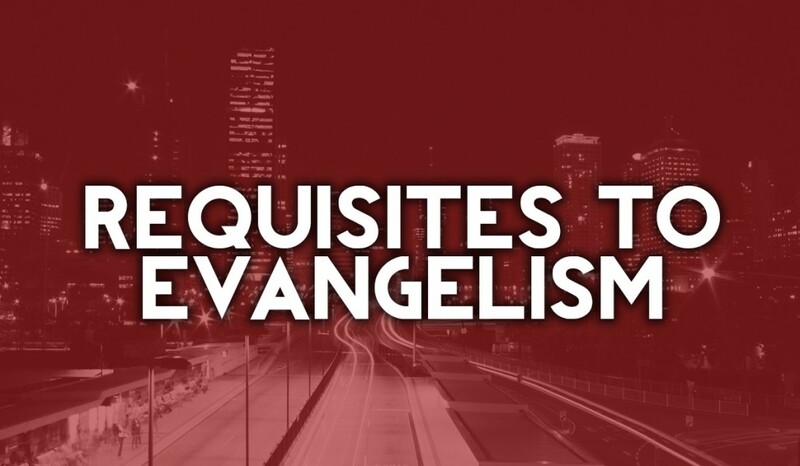 There are four truths that I want to learn from Paul when it comes to our heart for evangelism. I pray that these four truths would become more real in my everyday life so that I would be as effective as Paul was in spreading the gospel. I will call these four truths requisites. A requisite is simply a necessary quality. So these are the necessary qualities we need if we want to be effective witnesses. Notice that Paul was not on a personal mission to evangelize the Athenians; it wasn’t even his idea to go – “the men who escorted Paul brought him to Athens” Acts 17:13-15. Paul was going about his business in Berea, and a series of what seemed to be unfortunate events led to his arrival at Athens. One of the greatest examples of preaching the gospel wasn’t based on a planned trip. This brings me great comfort as one who doesn’t go on many “missions’ trips”. Life is a mission field, and we should live it as such. Paul was aware of God’s sovereign hand on his life. He didn’t sit back and wait for his companions to meet with him so they could plan out the next area to hit; he knew that God would use him wherever he was as long as people were there. He had an evangelistic lifestyle. This should also give us a new outlook on trials. Paul wasn’t feeling sorry for himself, lamenting about how mean they were to him in Berea. 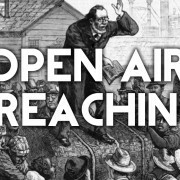 He capitalized on an opportunity to preach the word. When you read the book of Acts, you will be hard pressed to find a Christian moping while they’re being beaten or persecuted or imprisoned. You will rather find them praising God and making use of every opportunity (even their trials) to spread the gospel. The next time you find yourself in a trial, you need to be aware that you are being a witness whether you realize it or not. It’s your choice to either be a good one, or a bad one. It’s your choice to either capitalize on the opportunity to show the love of Christ, or to show your self-pity. Paul was aware that wherever he was, God was there with him. We, like Paul, need to be conscious of God’s sovereign hand in our lives – this is the “right perspective” I’m talking about. When you are at the grocery store, try to think about the fact that God created the world in such a way that that specific cashier would be on schedule to work at the very moment you would check out. God knows that you are going to meet that specific person tomorrow, or the next day. God has given you a sphere of influence that no one else has, and expects – no, allows you to give testimony to His son. I remember one time I was praying late at night, and I just remembered that I didn’t take the trash out. I didn’t want to wait until the morning just in case I missed the garbage truck, so I grudgingly decided to do it right then. As I was putting on my shoes, I felt like God was telling me “take a gospel tract with you”. I thought, “Lord, its 1am… no one’s going to be outside for the split second it takes me to put the trash bin out. 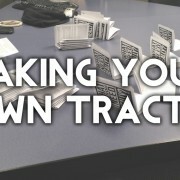 But, what harm can happen if I take a tract with me?” So I went to my bedroom and got a tract. I walked outside, pulled out my trashcan, and as I was walking to the curb a man was walking right in front of my house. We met in front of my curb at the same exact time. I told him, “Hey, I know this might sound crazy, but I was just praying and I felt like God told me to bring this out here with me” and I handed him the tract. He gladly accepted it, and then kept on going. Keep in mind, this is about 1am! I didn’t get to speak with him, but he left with the word of God in his hand and a crazy story that would give him incentive to read it! How awesome would it be to meet him in heaven one day and hear what God did because of that one instance? There are several stories of people coming to the Lord because of a tract being handed to them by someone they will never see again this side of eternity. I remember another time I showed up early for a class I was taking at the church I attend. Since no one was there, I sat in my car and started to read the bible. As I was reading I thought to myself “I might as well see if anyone’s walking around”. I walked about a half a block and ran into a teenage kid named Tommy. The church I attend isn’t in the ritzy part of town (to say the least), and Tommy looked like he fit right in. I handed him a tract and asked “hey, you got a minute? I know this might sound weird, but what do you think happens when someone dies? What’s on the other side?” He looked at me like he was confused, and he shrugged his shoulders like he didn’t know. I was thinking, “Good job Sean! Way too much, too soon!” but instead I asked “do you ever think about that?” He said “yeah! I was actually just thinking about that right now!” What are the chances of that? Let’s just say, Tommy heard the gospel that day and knows without a shadow of a doubt exactly what happens to people when they die. Praise the Lord! I love divine appointments. There are several other stories I can give about being at the right place, at the right time, with the opportunity to talk to or pray with the right people. However, if I were not aware of God’s sovereign hand on my life during those times, I would have possibly missed out on those awesome opportunities to share the love of Christ. No matter who you are, you have room to grow in this area. I’m sure that every one of us unknowingly passes up opportunities every day for God to move supernaturally through us, just because we don’t have the right perspective 24-7. I believe that God is constantly drawing and constantly speaking to us; we just need to listen. Pray that God would help you be more alert and more conscious of the fact that He wants to use you as a conduit of blessing to others. One thing that helps me is keeping tracts in my wallet. That means that anytime I spend money I have the opportunity to leave the gospel of Jesus Christ with someone; even if I’m leaving it in the credit card slot at the gas station. Going back to our story of Paul in Athens, we see that Paul was simply waiting for his friends and made use of the opportunity (Acts 17:16:– “while Paul was waiting for them”). Not only did Paul have the right perspective in understanding that God’s hand put him there, Paul’s number 1 priority was to preach the gospel. He was just sitting and waiting, and had the choice to continue sitting and waiting, or make use of his time. In fact, Paul could have done anything with his time. He could have checked out the shops around Athens or looked at the local art. He could have enjoyed the scenery or even taken a little R and R away from all that ministry work and persecution. The determining factor of what Paul did with his time was his priorities. This is where we come to a major divide in American Christianity. We say that we want God’s will for our lives, but we have so many things that consume our time, our resources, our attention, and our affections that we leave very little room in our lives for God’s priorities. We live in a very self-centered society, and therefore have a lot of self-centered ideas with a Christian label. We make claims to want God’s will to be done in our lives, but the reality is that if it doesn’t line up with our will, we will disregard it. In Luke 12:13-15 we find an account wherein Jesus encounters a man whose priorities were misguided, much like ours. I have been told “Jesus is interested in every aspect of your life”. It’s apparent from this verse that that is not necessarily true. Jesus was obviously not interested in getting involved in this man’s dispute with his brother over an inheritance. Why not? The man would seem right to ask Jesus to help exercise justice by having his brother split the inheritance. Shouldn’t we come to Jesus for all of our concerns? I believe the answer is no – we shouldn’t come to Jesus for all of our concerns. We concern ourselves with so many petty, trivial things. We should come to Jesus for all of His concerns, because His concerns are not rooted in misguided priorities. We concern ourselves with things that have no lasting benefit for us, or for others, and Jesus wants to free us from that. I don’t believe that Jesus blew this man off because He was disinterested in the man’s life. Rather, I believe that Jesus was too interested in the man’s life to contribute to the man’s disinterestedness of the things of God. Jesus was exposing the man’s greed behind the plea – how his priorities were out of place. Rather than concerning himself with an inheritance, why didn’t the man ask Jesus to preach the kingdom of God to his brother instead? Jesus was trying to show him that there are far greater things to worry about than a stupid earthly inheritance that will just burn up one day. As Christians, we should not give our time and attention to trivial matters of earthly pursuits. We especially shouldn’t try to bring Jesus into them. When we do, it is an indicator that we are more concerned about advancing ourselves than we are advancing His kingdom. The Apostle Paul understood this as he walked on the edge of eternity. That’s why he wrote “Why not rather be wronged? Why not rather be cheated?” (1 Corinthians 6:5-7). There is a very likely possibility that one may misunderstand the purpose behind this thought and application about Jesus not caring about everything we care about. My hope is not to dissuade you from coming to Jesus for anything. My hope is that you would examine yourself inwardly to see if you may be more concerned about your present felt needs than you are concerned about Jesus’ mission and purpose for your life; and if so, that you would redirect your priorities. Not only did Paul have the right perspective and priorities, he had the right drive. This point is the most important piece of the pie. Having the right perspective is not enough. The right perspective will make you more aware of opportunities to witness; however, at best, the awareness of opportunities to be used of God by itself will only lead to guilt and shame when you fail to do so. We all experience this at least a few times in our Christian lives. I’m sure every one of us can point to at least one time when we know that God wanted us to say something to someone, and we failed to do so. That’s when we tied it in with having the right priorities. When you are aware of opportunities to be a witness, and it is your priority to be a witness, you inevitably will be a witness. So why then would the “driving” factor be so important? Because someone with a high priority to be a witness can have the wrong motives for doing so and therefore his priorities would be rooted in sin. This often times leads to a legalistic act of pious self-righteousness. Legalism is any attempt to please God on the basis of what you can do in the flesh. A person could be beaten down with a convicting message about how Christians ought to share their faith… or else! They might think “well, if that’s what Christians are supposed to do, then I guess I’ll have to do it, even though I don’t want to do it.” So now they are asking how they can do this thing they don’t want to do, and someone tells them to prioritize it in their schedule, and look for opportunities throughout the day. When they inevitably talk about Jesus, it comes across with no power, no conviction, and most times with no results. 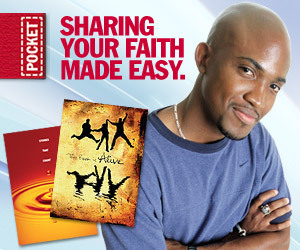 The person then checks off their box labeled “share your faith today”, while Jesus is looking down in disgust. 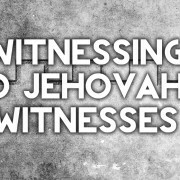 Witnessing isn’t a dreaded task that the Christian wishes they could avoid. John, the beloved Apostle, understood the outcome of proclaiming the gospel. This is where legalism departs from biblical Christianity. The legalist boasts in the fact that they did an act of service or sacrifice that they didn’t really want to do. The biblical Christian boasts in the fact that there is joy in the act of sacrifice or service. Legalism finds joy in the boast, while biblical Christianity finds joy in the act. Reluctant drudgery is one way someone can err in their motives for evangelism. Another way one can err is by thinking that in doing so they are moving up the Christian ladder and will be rewarded for it. In other words, the reward for evangelism is some other desired end, rather than witnessing on behalf of Christ being the reward. We mustn’t treat the gospel as if it were some means by which we gained brownie points. Jesus taught against this in Luke 17. Does this apply to American culture? Absolutely! Though we don’t have the golden calves and brass statues, America is full of idols. Our idols are named financial prosperity, power, fame, self-advancement, and self-fulfillment. Ladies and gentlemen, that is the outcome of the American Dream. We have exchanged the glory of God for the glory of ourselves. Our desires, our opinions, our pleasures, our goals, our ambitions… these are the things we have been told to live and die for. We, for one, need to say “away with that nonsense!” and renew our minds with the word of God. Our primary purpose is not to advance ourselves; it is to display the glory of God to all creation. When our own perspectives are changed, I am confident we will see our culture in another light. I believe we will share Paul’s distress over the name of our Lord being slandered in America and the people being deceived by the masses. I am confident that when we lay hold of this truth it will be the driving factor that leads us to naturally speak of Jesus’ glory wherever we go; not just on Sundays and Wednesdays when we are around other believers… which brings me to the fourth requisite. Paul did not share the gospel, and then move on with his life – “…So he reasoned… day by day” (Acts 17:17). The proclamation of the gospel was an everyday occurrence in Athens for Paul. Granted, there are many days when we probably won’t have the opportunity to talk about Jesus with someone, but the point is that we should be looking and anxious. We don’t necessarily have to wait for a special feeling or a specific leading before we talk with someone. Being a witness for Christ is a daily commitment to those God puts in your path. When we look back at the story of Paul preaching in Athens, it didn’t seem like Paul felt a special leading to talk to specific individuals, but rather anyone God would put in his path – Acts 17:17: “so he reasoned in the synagogue with the Jews and the God-fearing Greeks, as well as in the marketplace day by day with those who happened to be there”. We must remember though, the point is NOT to get bogged down with some religious duty that we feel obligated to fulfill. The point is to be so full of the gospel that it pours out of us naturally. The point is to have our joy complete by proclaiming what we have seen and heard. The point is to be effective in our testimony of Jesus, and the only way to effectively testify about Jesus is to share His perspective, His priorities, His drive, and His commitment.